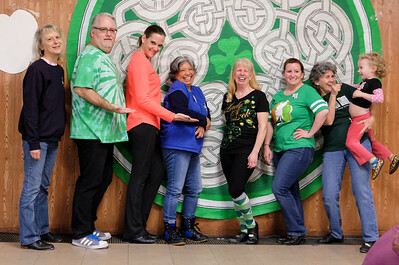 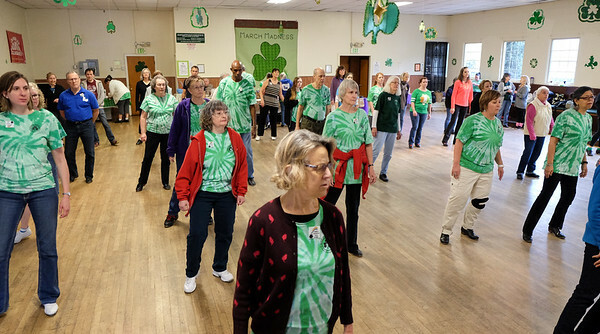 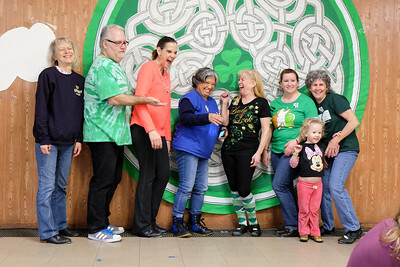 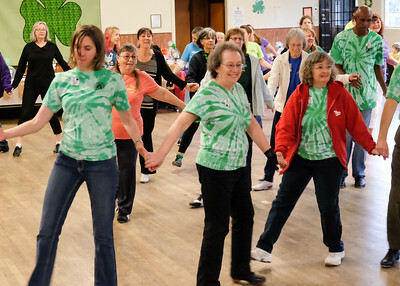 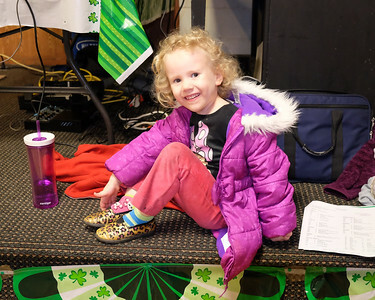 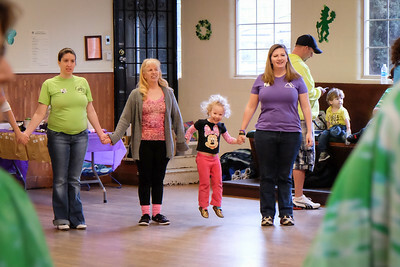 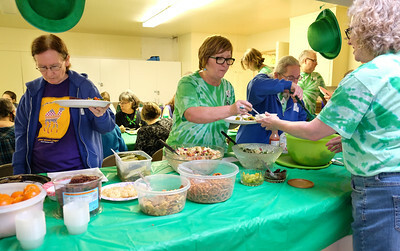 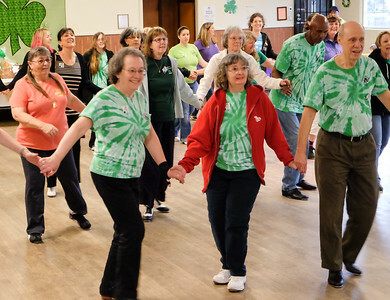 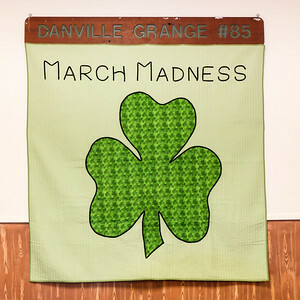 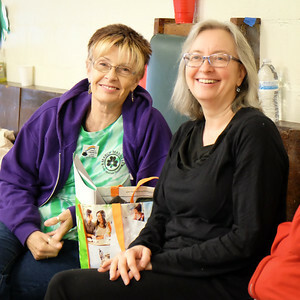 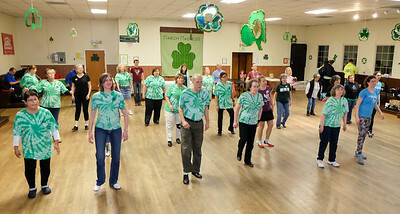 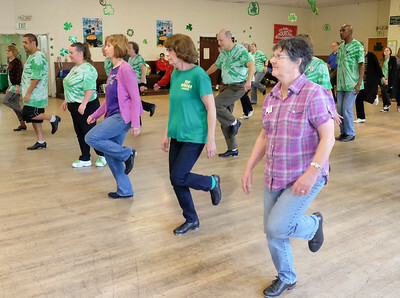 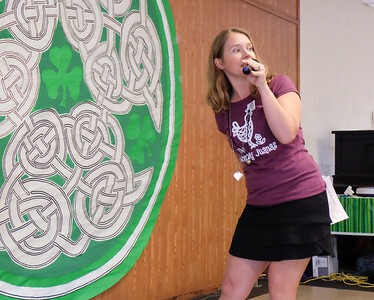 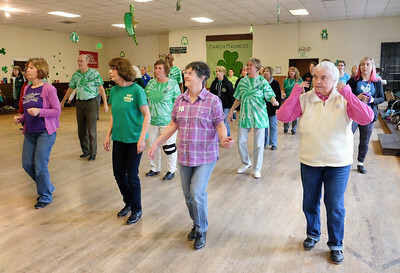 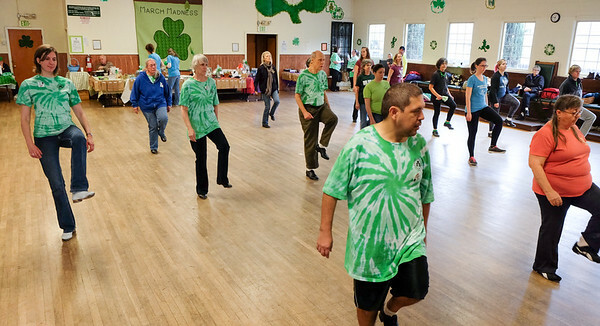 Fun at the Diablo Mountain Cloggers' annual March Madness workshop and dance in Danville, CA. 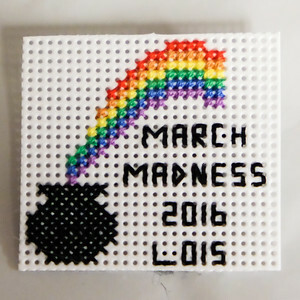 Lois' 2016 March Madness badge, made by Deann. 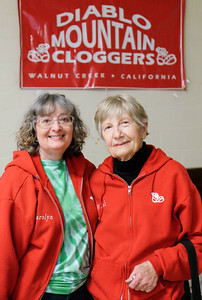 $100 Clogging Cash Cake that was raffled off. 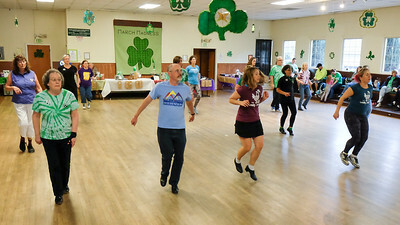 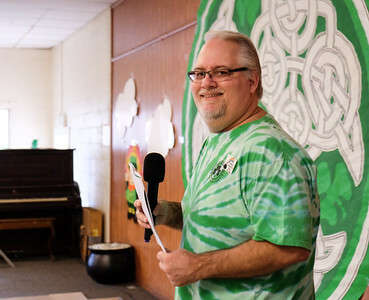 Richard teaching at March Madness. 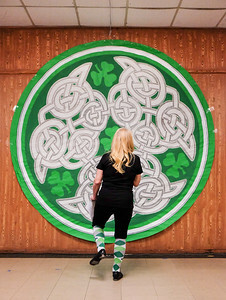 Brady and son looking out at the rain. 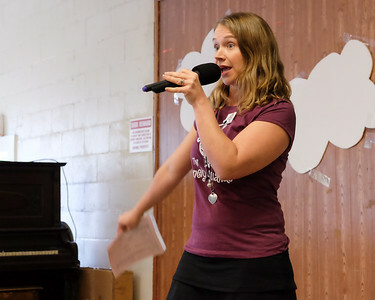 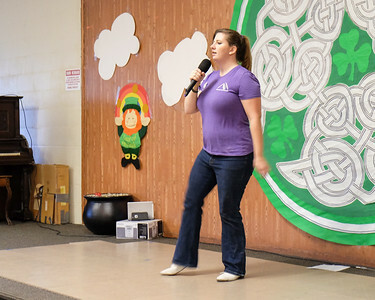 Heather teaching at March Madness. 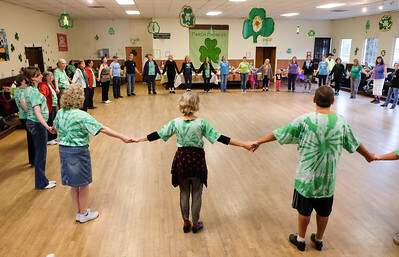 Dancers at March Madness doing the circle dance Heather Nodleman taught. 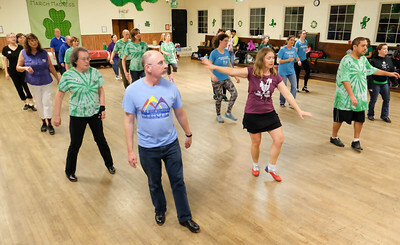 Dancers doing Ian's advanced dance to "Love Yourself"
Diablo Mountain Cloggers at March Madness, 2016. 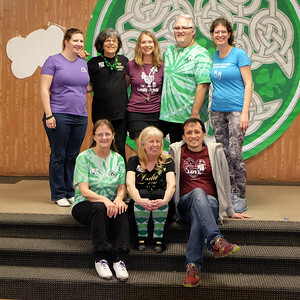 Instructors plus a cuer at March Madness, 2016. 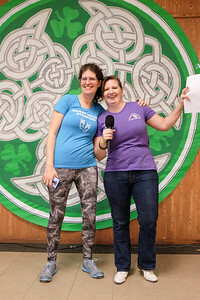 (back) Heather Smith, Carolyn Poe (cued) Heather Nodleman, Richard Willyard, Sarah Dwight-Gilroy. 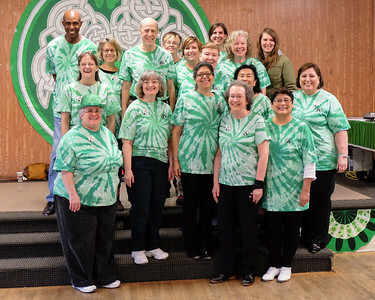 (front) Lois Elling, Carol Smith, Ian Enriquez. 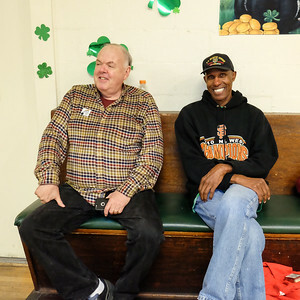 Ken and Jay at March Madness.